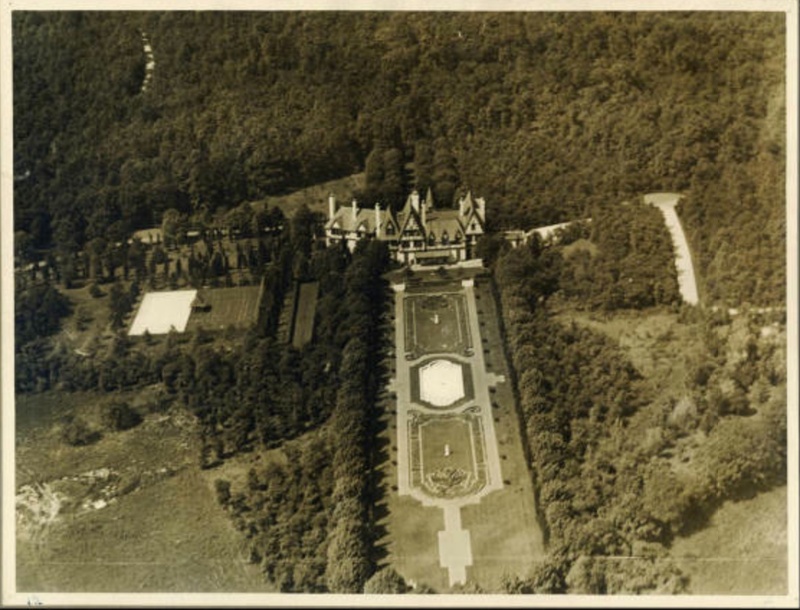 The Virginia Graham Fair Vanderbilt estate designed by John Russell Pope c. 1911 in Brookville. She built this house following her separation from William K. Vanderbilt Jr. and kept the estate until moving to 'Fairmont' in Manhasset in 1927. While the couple was together they resided at 'Deepdale' in Great Neck. The residence has since been demolished, click HERE to see where it stood on google earth. Photo from the Ryerson & Burnham Archives at the Art Institute of Chicago. I've been waiting for this estate to be featured as a full aerial view . . . so Storybook ! Wow, would I love to know where this one sat..anybody have any idea? I've been trying to pull up the old maps but their system seems down for the time being. 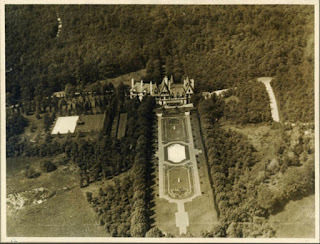 It was demolished sometime before 1966 as all that appears on historicaerials.com are remnants of the gardens. A belated Happy Anniversary and Thanks for many hours of enjoyment and enlightenment at OLI! I didn't think I needed (or wanted) a plantation, but I am re-thinking that now. Got it..Hemlock and Quaker Ridge Drive's..know this land well from my childhood..you could always feel the presence of a (back in the day) grand estate..the original pool and some of the landscaping were still there in the 1960's..even a tudor guest house, which, I would venture to say was original to the estate. What a spectacular formal garden! Well into the 80's there was a very elaborate semi-circular wooden trelliage which was a remnant from that spectacular formal garden, sitting on a wooded parcel. It was unfortunately lost when a home was constructed on the lot. Interesting Lady. very interesting story. Cant help but notice the Catholic connections to Brookville..I think of Greanan, built a bit later, across the street and the Joan of Arc Chapel, that once stood there. Brookville was always more Catholic than any of the surrounding villages.